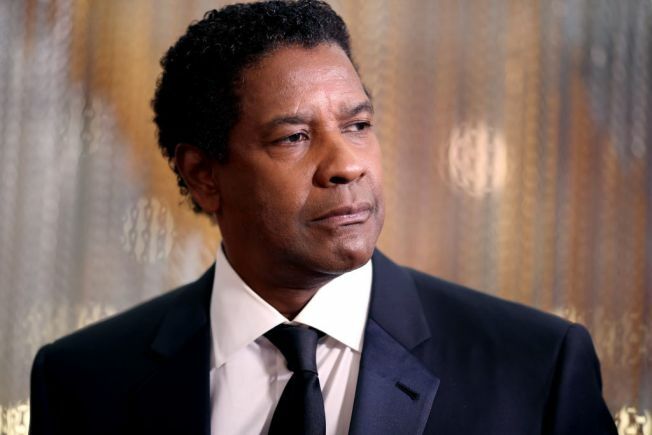 Denzel Washington was simply looking for directions to a barbecue restaurant in Chicago, but on his way there, he may have surprised his biggest fan. The award-winning actor was reportedly trying to get to Leon’s Barbecue when he began talking with a group of people outside near 86th Street and East End Avenue on the South Side. After learning that he was outside the home of 86-year-old Juanita Hubbard, he promptly walked up to the door and knocked, family members told a local TV station. Video posted to social media by Hubbard’s family shows the grandmother in shock, clinging to Washington as he tells the group he used to visit the neighborhood as a child. Washington noted that he had family members in the Blackstone Rangers group, a street gang formed in Chicago in the early 60s. Some members of the group on the Chicago porch then told Washington they are part of the Blackstone Rangers. When someone says the group will watch a movie to show the boy who he just met, Washington had only one piece of advice. “Don’t watch ‘Training Day’ now,” he said. Meanwhile, Hubbard continued clinging to Washington’s arm. “I’m not going to let him go,” she said in the footage. The group praised Washington for his successes and for visiting with them in the city. “I did a lot wrong, but I got it together,” he said. Juanita Hubbard's granddaughter posted video and photos of the encounter to Facebook, where it has been shared more than 39,700 times. "It's not to [sic] often you see a legend come through the hood and shoot the breeze," she wrote.